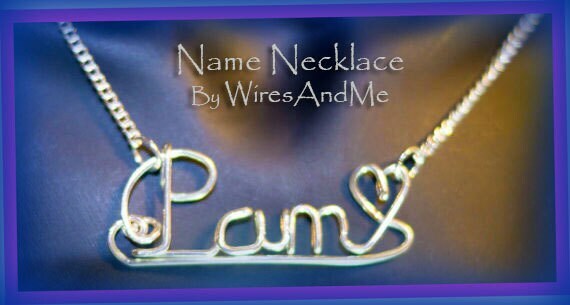 Custom made necklace - Handcrafted wire name pendant with matching 18" chain. Personalized to any Name you Wish...a Perfect and unusual handmade gift for all occasions of any age. All jewelry orders comes always with FREE jewelry gift box for easy/instant gift giving. 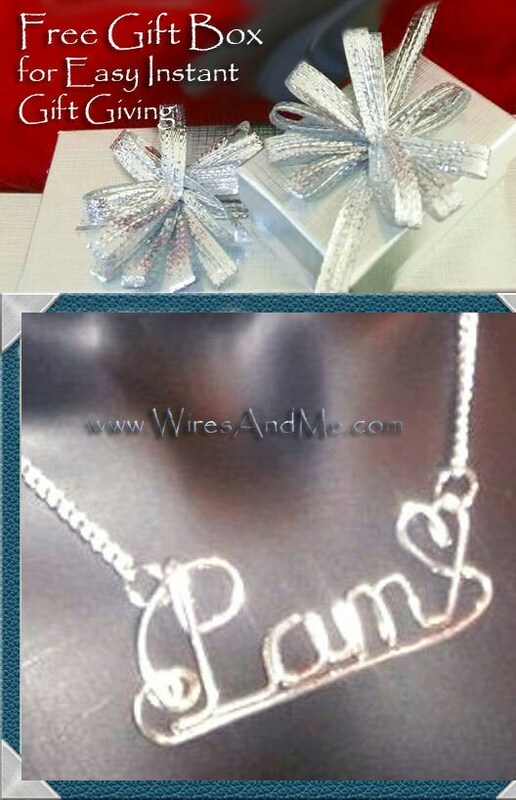 2.Enter the Exact Name you Require to be on the Name Pendant. 3.Let me know if you want a HEART or NO HEART at the end of the name.